Are you a photography fanatic looking to stand out from the crowd? Well here is one way you can set your pictures apart from the crowd. if you are bored with Instagram filters, this is also for you. You can create your own unique images by taking Infrared photos, a unique type of photography that reveals colours beyond what the naked eye can see. While the results can be unbelievable if you get it right, many people struggle with infrared photography processing to give their pictures that eye-catching touch that makes the images stand out. Unlike a usual photo, an infrared raw image looks pinkish in colour. One of the easiest ways to process your image is by using Photoshop. Once you open the image in Photoshop, click on Image, then on Auto Tone. The image turns into a beautiful infrared picture. To add more splendour into the picture, you can use a gradient layer by setting the blend mode to hard light or soft light. You can also use the channel mixer to fine tune your image. The channel mixer can be found by clicking on Image &gt; Adjustment &gt; Channel Mixer. Adjust the levels to something that works best for you. If you achieve great images, save the actions for consistency in your photographs. 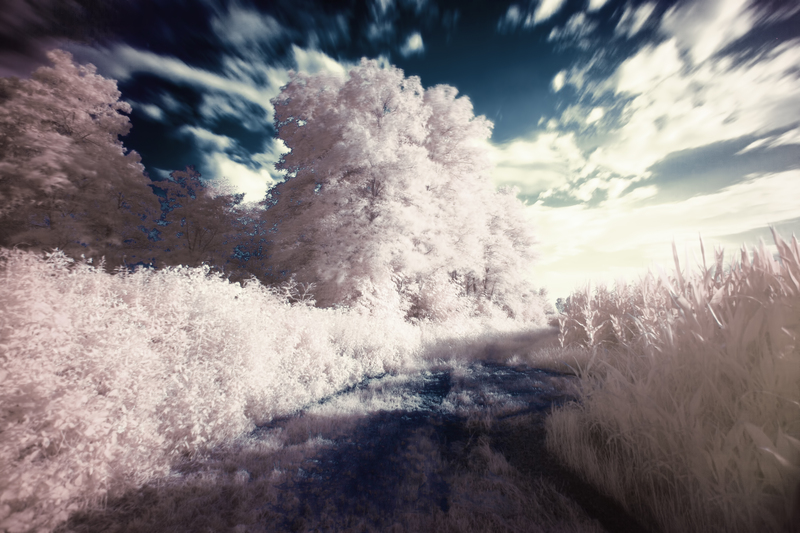 Infrared photography processing is the key to images that arrest viewers and arouse emotions. The images are just magnificent! « Did You Use Your Infrared Camera For Ghost Hunting This Halloween?